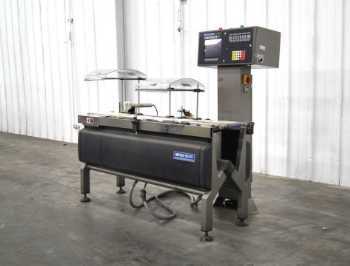 This type of equipment ensures correct weight of a product for quality control. 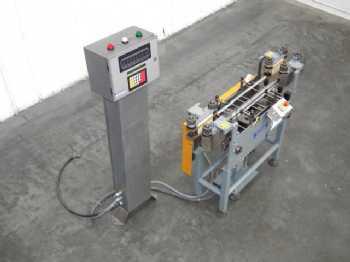 The product is conveyed, usually by two chains, over a weigh cell, load cell, or strain gauge. 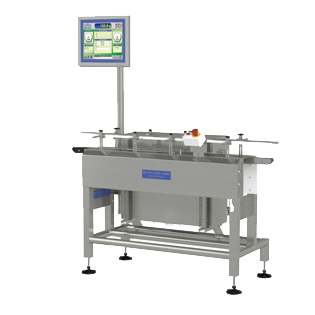 If it is too heavy or too light, the checkweigher removes the product from the line. Some checkweighers sort the rejected objects into piles. Usually, this can be accomplished with a push-off rejector, arms or a sharp blast of air that redirects the unfit product. 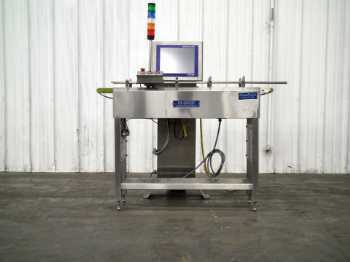 Discharge and infeed conveyors for chain checkweighers can be belt or chain conveyors. 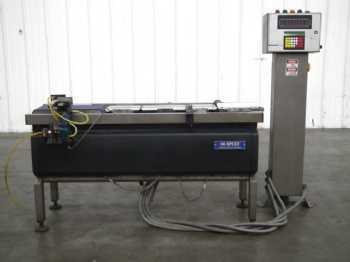 Chain checkweighers are commonly used for bottles and boxes.